These are the LONG shaft type. These joysticks are a very close copy of a model made by Seimitsu who, like Sanwa, are reknowned for making top quality products. They feature a metal universal mounting bracket and high density plastic housing which results in a joystick with a precise solid feel. 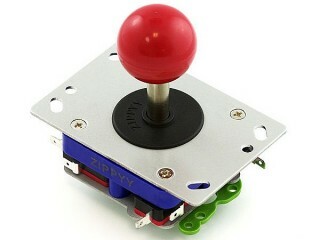 Just like our Sanwa sticks they have reasonably light spring pressure. The balltop unscrews from the top of the shaft to make it easy for the joysticks to be mounted underneath your control panel. 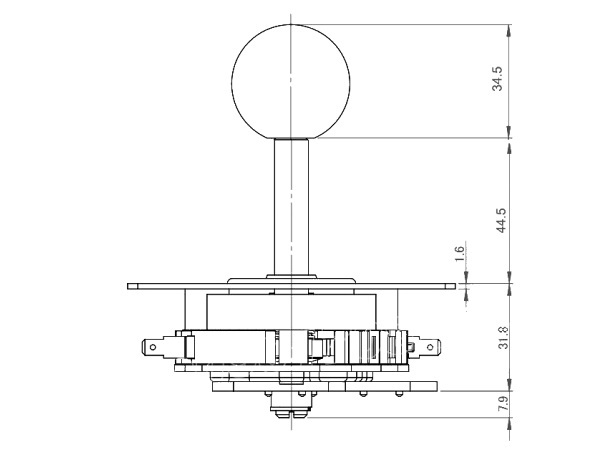 In addition these have a longer shaft that the Sanwa which makes them preferable to use in a thick timber panel. 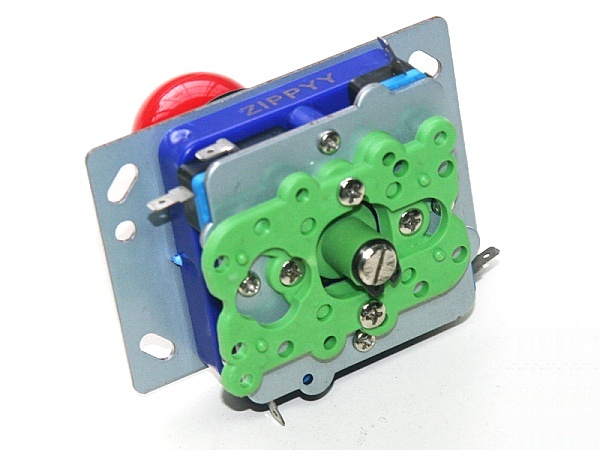 The green restrictor plate can be removed completely or its position altered to set the joystick for 2, 4, or 8 way operation. They are shipped with the restrictor in the 8-way position. Other features in common with the JS01 are that the joystick can be disassembled for the spring to be stretched and increase the spring pressure and also for “tuning” of microswitch sensitivity by bending their metal levels. In all these are a very nice joystick for the price, with some unique features.